Hey! ECT where were you last week? Answer: On the road less traveled! Where else would you expect to find the ECT during a week off? 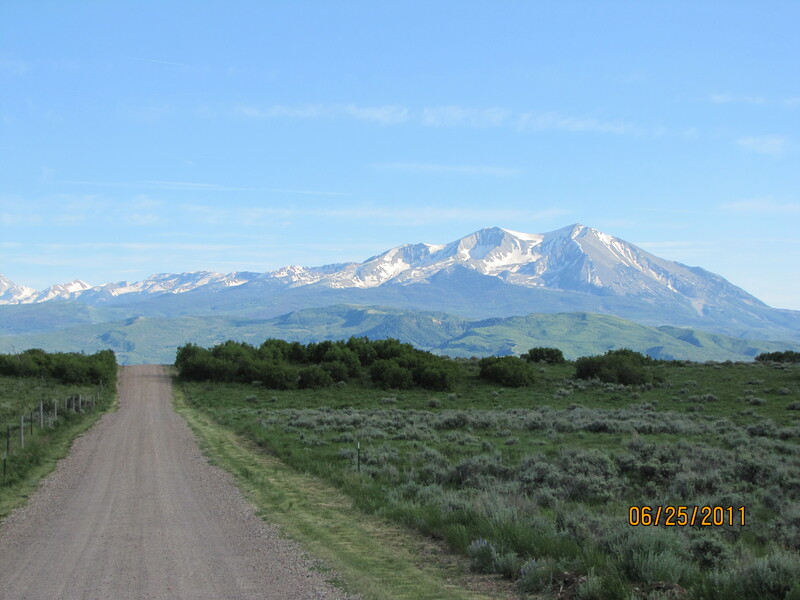 To the first person who correctly identifies the Mountain in the background (above) – email us your U.S. Mailing address and we’ll send you our coveted “I read the EagleCountyTimes.Com” license plate frame for your car! HINT: The road is in Eagle County – the mountain to the right is not. Good Luck! Here are the ECT featured photos for this past week! Can you match the ECT’s captions to the correct photo? JUST CLICK ON THE VIEW SLIDE SHOW LINK BELOW! – I love my Orthodontist! ECT gang fond of those very pretty blue eyes, that go with your smile, young lady! – Mrs. Clayton Moore – out for her bike ride and staying in shape! – Burger? Did some onesay Burger? Yum! – Go West young man! And make sure to use “Go West Tours” when you do – Conde Nast traveling aficionado – and local eligible bachelor – Mike Beltracchi!